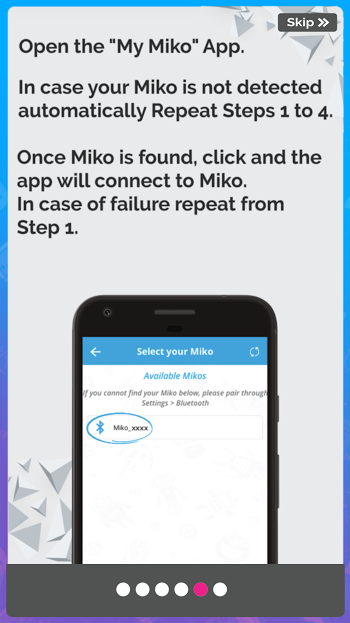 How to connect to Miko? 1)Click on the Settings icon. 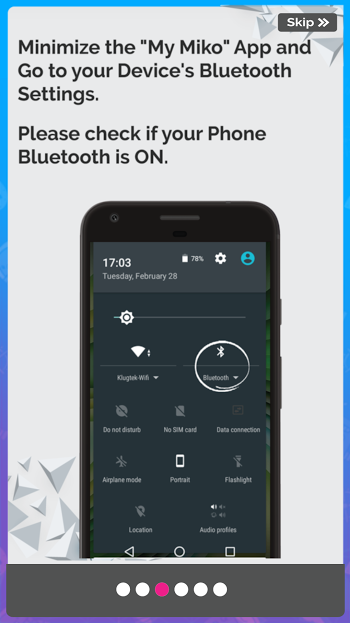 3)Your phone will scan for nearby devices. 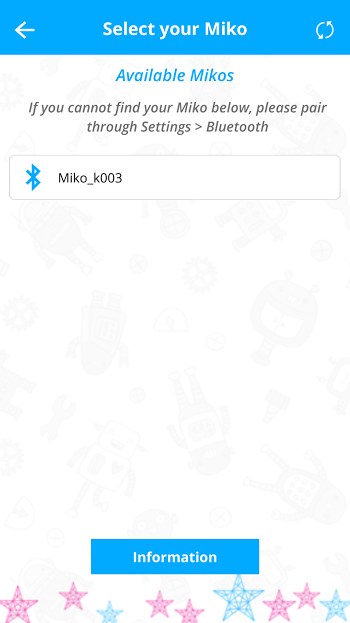 4)Your Miko will show up on the list of available devices as Miko_XXXX. Select your Miko device. 5)A pairing request will show up on your screen. Click Accept. This user manual tells you how to use My Miko app after getting to know how to connect to Miko. 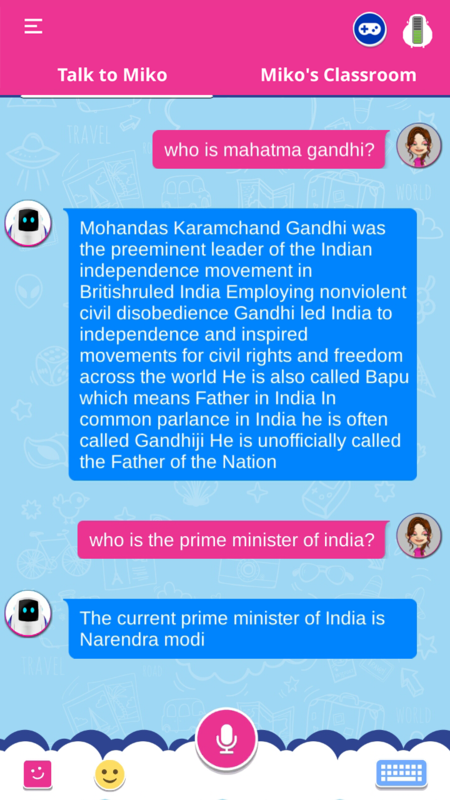 This is going to help you use the app successfully without any hindrances. 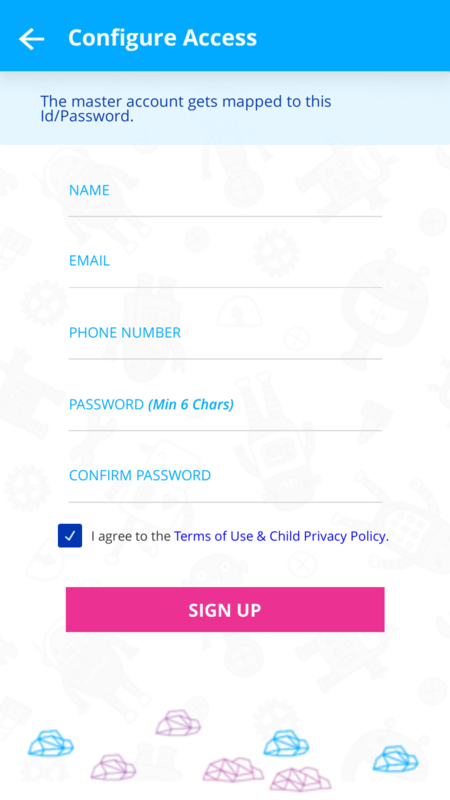 After we download the My Miko app and open it we have to go ahead with the SIGN UP followed by selecting our Miko. Later connecting Miko is easier as we swipe/slide and glance through them. 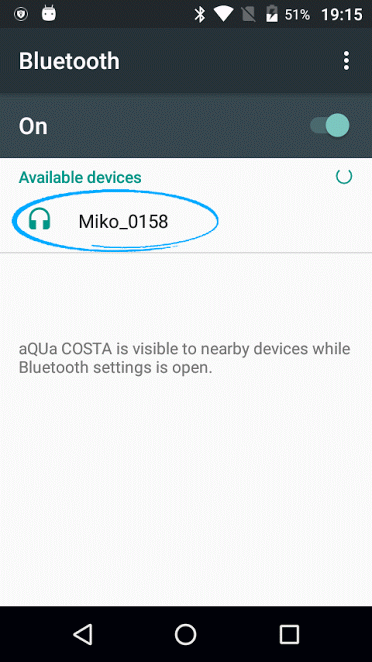 1st screen tells us about connecting Miko to our device first and foremost. 2nd screen ensures that we have our Miko’s adequately charged before we switch on Miko with the power button on the back. 3rd screen ensures that we are prepared with the bluetooth ON for further connectivity. 4th screen elaborates on our proceedings with the bluetooth connection. 5th screen informs us about the repetition of steps in case of no detection or failure in the proceedings. 6th screen backs all our doubts and queries regarding the connection with the website details , reinforcing the thought that a strong internet connection is a must. After successfully signing up and selecting the device one can sit back and listen to Miko. Meanwhile one can adjust its volume using the volume button on the phone and place it on the ground for it to freely move around. 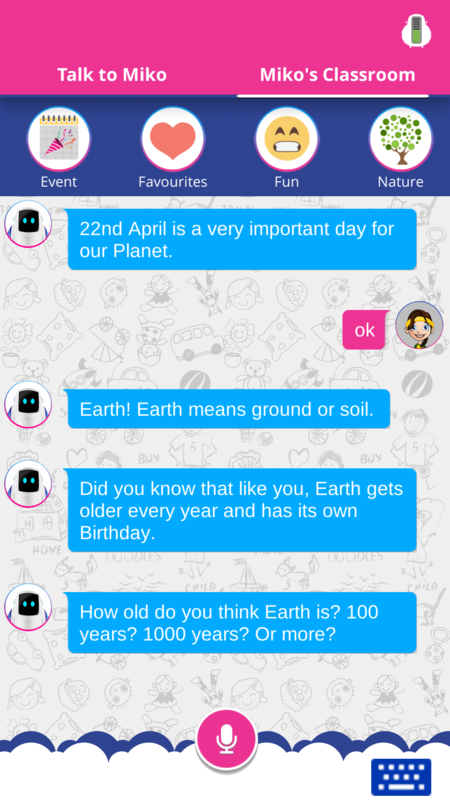 Then we will see an interface with two options Talk to Miko and Miko’s Classroom where we can choose either to have a general or controlled conversation with Miko. 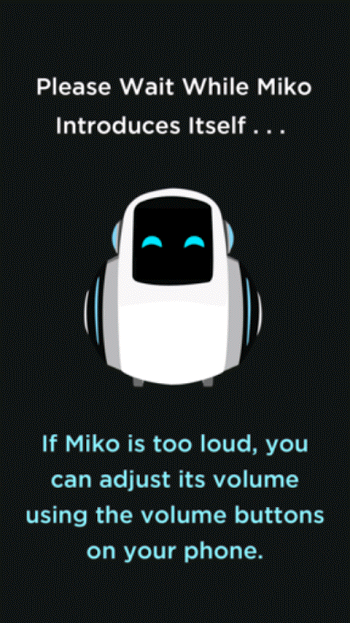 To converse, your child can press the pink mic button and talk to Miko once it turns green and listen once it turns blue. 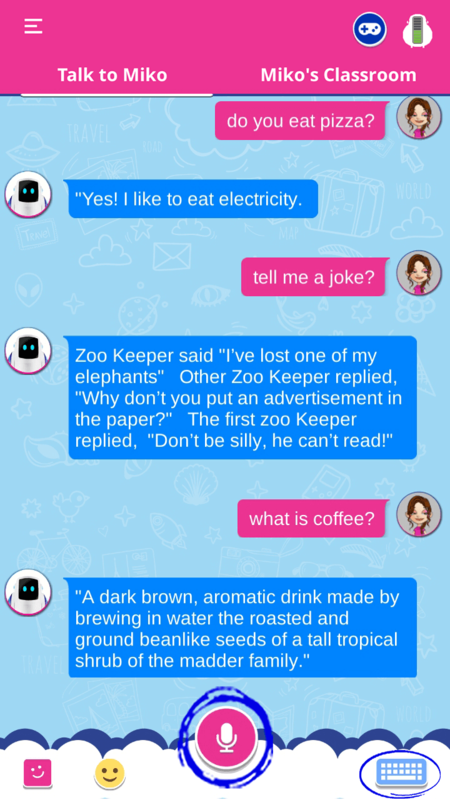 Even the keyboard can be used to chat with Miko. On selecting Talk to Miko your child can generally converse and question Miko. Even the keyboard can be used to chat with Miko or to see it emote. 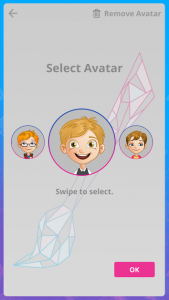 Meanwhile your child can even have a look at a range of ‘Avatars’ and select his/her own lookalike in the digital world! 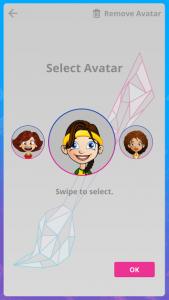 On selecting or switching on to MIKO’s Classroom the child will be displayed with the most popular and relevant topics he/she can have controlled conversations depending on the topic chosen from the category. You will see the Progress Bars to illustrate the current state of progress of the current update and will be standard going forward for all updates. A firmware update should not take more than few minutes. 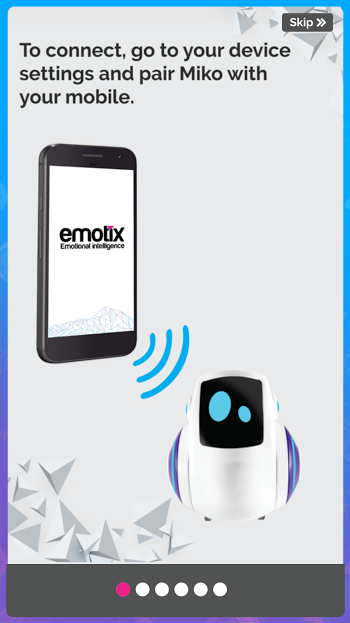 If you face any difficulty, then please reach out to us on support@emotix.in or +91-8655033245 and we will help you out. Does your child get too engrossed with MIKO and forgets to look at the leftover charge? 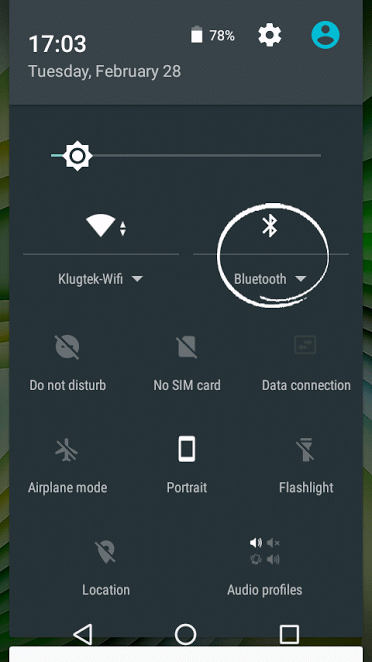 Unsure whether the charger is connected properly or not? We are here to help! With our new update worry no more. 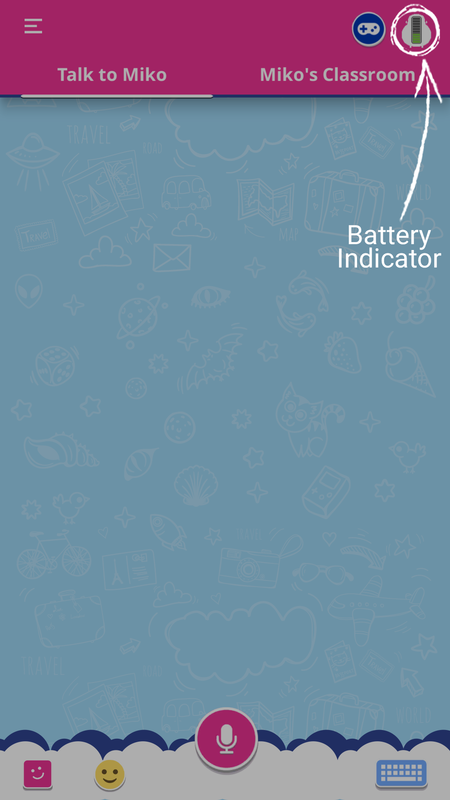 Know when to charge and how much battery power is left! 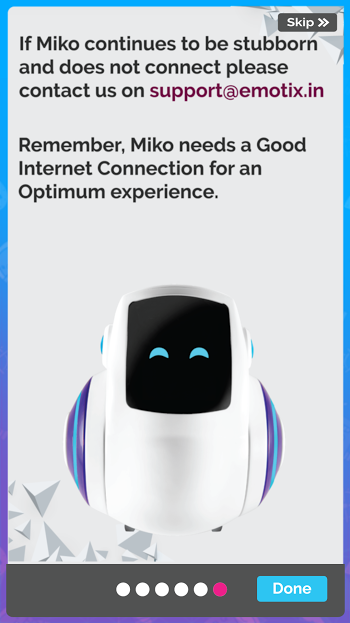 This update is going to show you the amount of battery MIKO has, so that your child can plan their playtime accordingly and charge MIKO at the right time. 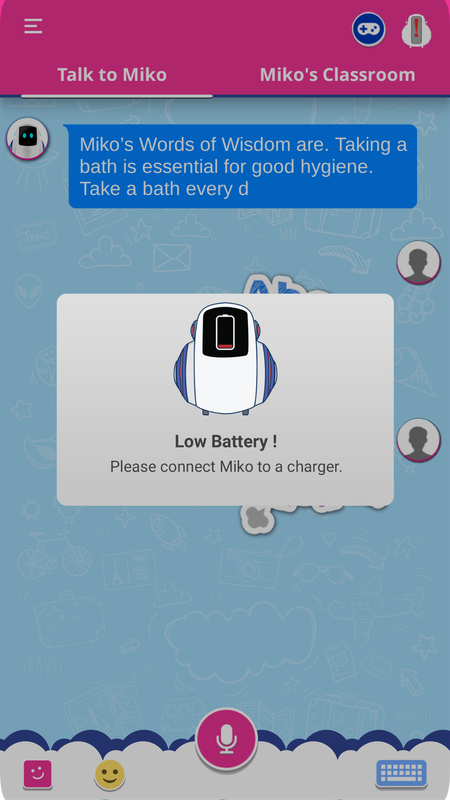 MIKO’s low battery pop up we will always inform you about MIKO’S battery. 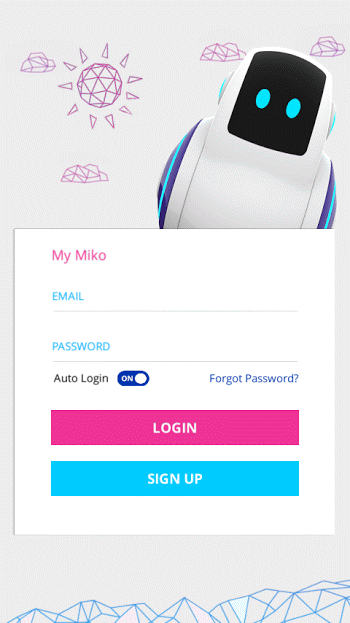 We also have the new pop up which will indicate when MIKO starts charging. 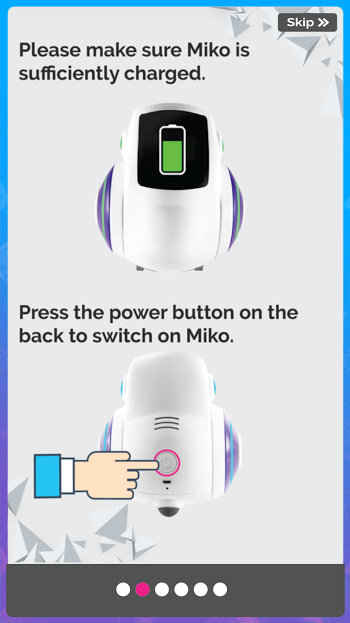 The pop up also indicates that MIKO will be unable to move around while it’s charging to ensure that you are both aware and cautious! Give MIKO more juice at the right time! 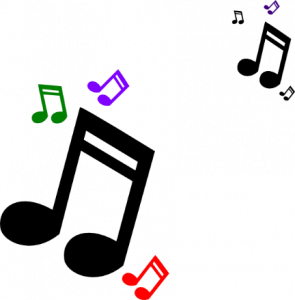 As Miko makes a connection with your phone and your child, our in-house DJ has introduced a new track for everyone to enjoy. Its lively, it’s cheerful and it’s catchy! 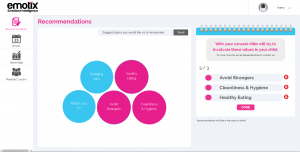 Parents know what’s good for their child so from within the Parental dashboard, parents can choose to impart ‘Recommendations’ which Miko will state as ‘Words of Wisdom’. 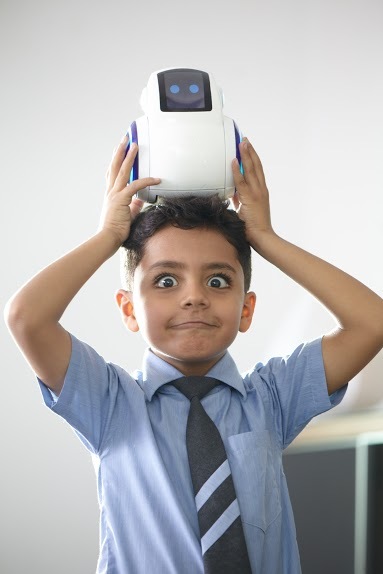 Children learn most from reinforcement of subjects. The more they hear or interact with something the easier they tend to remember it. That’s all for now. We hope to connect with you again soon!